I should really title this, "The Easiest Cake of All Time," because it is. If you have basic cake ingredients at home and a container of yogurt - any kind - then you're ready to make this cake. Which comes out delicious and fluffy every time and takes barely 45 minutes to prepare, bake and serve. Basically, you use the yogurt container to measure out all the other ingredients. No need for measuring cups and spoons and whatnot! Genius, right? The recipe is from a lady we make fun of on a daily basis. She has a 10-minute cooking show that comes on after the news and after she finishes the recipe she says, "Cotto" then she licks her finger and says, "e mangiato!" (Cooked and eaten!) We do it all the time, Vale and I. "Cotto (lick) e mangiato!" It's kind of the grossest gimmick ever. But very effective. In a large bowl mix the yogurt with the eggs. Using the yogurt container to measure, add the sugar, flour, oil, baking soda and the salt. 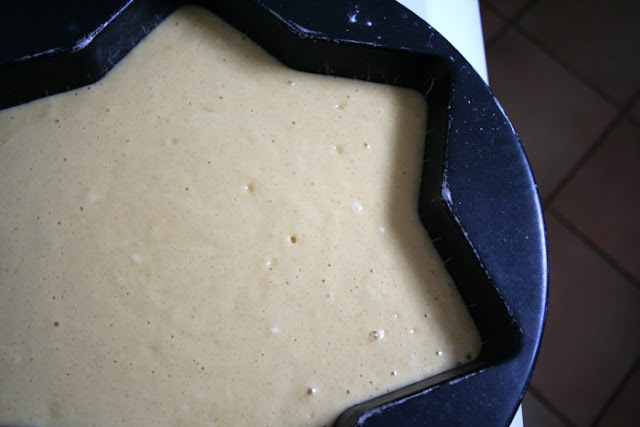 Blend well and pour in a buttered and floured cake pan of your choice. Bake at 350 for 25-30 minutes or until a toothpick comes out clean. 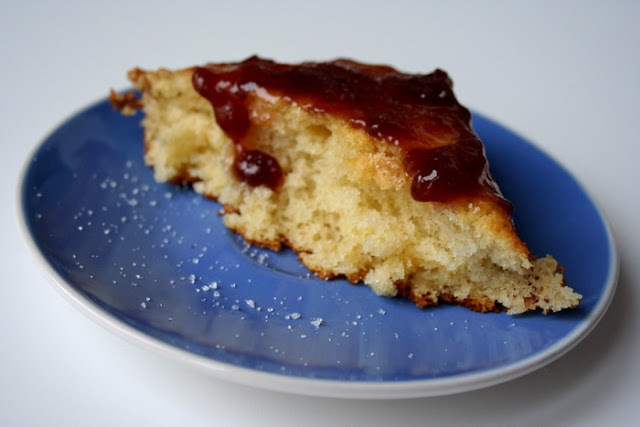 Once out of the oven you can decorate the cake by brushing on some jam and sprinkling sugar on top. Or you can add pieces of fresh fruit directly to the batter. Buon appetito! Or should I say, cotto (lick) e mangiato! P.S. I'm still in awe of my dslr and the clarity. Look at those granules!! The clarity!